GREENVILLE, NC – Bicycle sharing service LimeBike will soon offer another way to get around in Greenville. 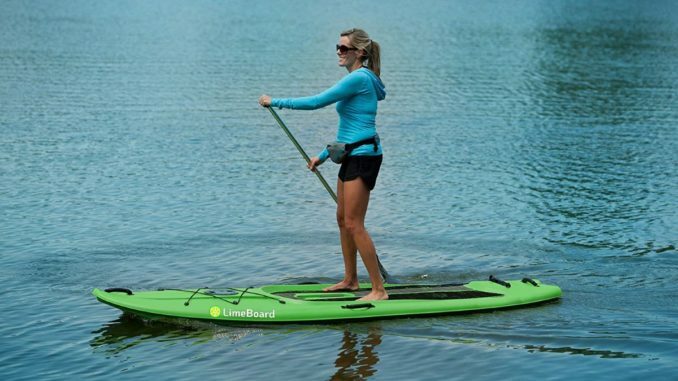 LimeBoards™, stand-up paddleboards (or SUPs) that you can rent using your smartphone, will be available for traversing Greenville’s waterways. According to Lime, the bicycles were designed with only dry land operation in mind. Mr. Witherspoon also pointed out that the boards are nice for yoga. The boards will charge $1 for each half hour ridden. Lime plans to release 150 of the paddleboards into the Tar River by next week.